Jazan Kozma was born in Southern California, and is a self taught photographer currently pursuing her passion for exploring and interpreting the western landscape. Being a true California girl, she surfs and snowboards, which is how she began traveling to many of the beautiful places that she photographs today. Formerly a professional model, musician, and graphic designer. Jazan is refocusing her artistic energy, by capturing the natural world through the lens of a camera. 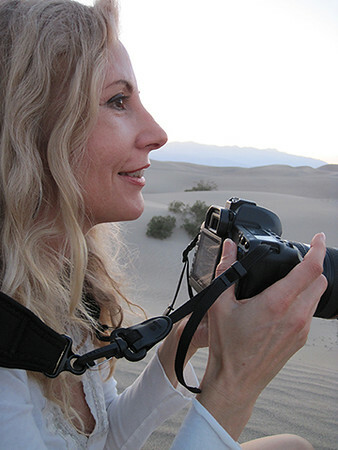 An award-winning photographer, her work is shown and collected nationally, and is in both public and private collections including The Southern Nevada Museum of Fine Art in Las Vegas. “My mission is to reveal beauty. Of the land and ocean, the animals, and the cultural landscape of ancient peoples - to photograph the still wild places that exist, even within view of our domesticated world.” J.K.
•	Black & White Magazine 2017 Single Image Contest Winner Jazan Kozma. •	Malibu Magazine, August 2015 Issue, two page Ad. Photograph by Jazan Kozma. •	Malibu Magazine, June 2015 Issue, two page Ad. Photograph by Jazan Kozma. •	Excellence Award - Black & White Magazine 2015 Portfolio Contest Winner Jazan Kozma. •	Malibu Magazine, April 2015 Issue. Jay Luchs and Steven Schaefer Residential and Commercial Real Estate Advertisement. Photograph by Jazan Kozma from the 'Hurricane Marie' Series.